Broadcaster and human rights campaigner Mariella Frostrup is bringing hope to schoolgirls in Africa this Christmas. Mariella Frostrup is putting her face to a Christmas Appeal that could help thousands of Maasai and other young pastoralist girls in Tanzania have the same access to education as boys. It’s hard to imagine for us here in the UK, but for millions, school is the difference between being married to an old man and pregnant at 12 and being able to lead a life full of opportunities. Education is a game changer. If a girl goes to secondary school, she is TEN times less likely to get pregnant as a teenager. And that means she is less likely to die – it’s a striking statistic that girls under the age of 15 are five times more likely to die from pregnancy and childbirth than adult women. Their bodies just aren’t ready. In Tanzania the transition rate from primary to secondary school is one of the lowest in the world. Poverty, family displacement, female genital mutilation and child marriage all play their part. If you are a girl from a rural community, the odds are overwhelmingly stacked against you. African Initiatives has been sponsoring girls who could not otherwise afford to go to school for years – and with great results – but there is much more to be done. Even if your community is progressive enough to think it’s worth educating girls, even if your family supports your desire to learn, even if you can find the money, or get sponsored by African Initiatives, you may well face a learning environment that is hostile. Male-dominated school boards are often unaware of a girl’s human right to an education or national policies supporting girls’ schooling. Corporal punishment is commonplace in schools and gender-based violence is endemic. All the research says that there is no tool for development more effective than the education of girls and the empowerment of women. Just because we’ve read the research, doesn’t mean we’ve acted upon it – over a decade later there are still countless girls who need our help to get an education. Getting a message out to do that is, of course, a lot easier when you have a famous ally. “I’ve made many trips to Africa and seen first-hand how girls’ lives can be transformed by a good education.” Says Mariella, who presented African Initiatives’ Radio 4 Appeal earlier this year. Last year Comic Relief awarded African Initiatives £1million to bring quality education to six districts in northern Tanzania – Ngorongoro, Monduli, Longido, Karatu, Mbulu and Kilolo. The project is running in 44 primary schools and 26 secondary schools. 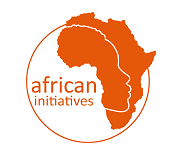 Together, African Initiatives and its implementing partners are working with parents, schools, teachers, local and traditional leaders, ward development committees, district education authorities and school inspectors. The goal is to improve access to education, teacher training, facilitate the transition from primary to secondary school, improve governance and security of schools, and to strengthen capacity of grass-roots partners. Frostrup has a track record of using her fame for good, even creating her own foundation called the Gender Rights and Equality Action Trust (GREAT) so she is well-aware of how much small international development organisations rely on volunteers and the generosity of celebrities to get the word out and the work done. The support of Frostrup is a huge boost to the team of part-time staff and dedicated volunteers and the timing couldn’t be better – African Initiatives is just about to launch a Christmas ‘Big Give’ campaign. Between midday on 4th and 14th December, all donations online can be doubled, which means in the future twice as many teachers could be learning about child rights and gender-based violence, twice as many communities learning about the importance of girls’ education, twice as many school-boards understanding and enforcing national policies aimed at supporting girls, and hopefully twice as many girls could be making that crucial transition from primary to secondary school, become shining beacons for hundreds of other women and girls who dream of a better future but wonder if it’s possible.